WE’LL PRINT YOUR CUSTOM TEE ON THE SPOT IN 5 MINUTES! How many t-shirts are you going to print? We recommend you to switch to desktop version to continue designing. Please let us send a link to the desktop version. We sent you email with link to continue your design on the desktop version. If you have always wanted your very own personalized hoodies to add to your wardrobe, Freshly Baked Tees offers infinite customizations and high-quality apparel both online and in-store. With our easy-to-use online tool, you can make your custom hoodie in a matter of minutes. 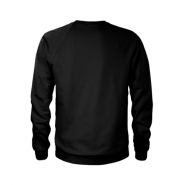 Whether you need just one or perhaps dozens of custom sweatshirts, we make it easy to get exactly what you need at an affordable price. Our online hoodie maker guides you through the process of creating personalized hoodies and printed sweatshirts from start to finish. Just choose your garment type, whether you want a sweatshirt, a zip up hoodie, or a pullover hoodie, and then choose the size. Afterward, you can pick from various color options, then start the customization. You can upload a company logo or your own art and designs for your custom printed hoodies, or you can choose from some of our clipart and design ideas we’ve categorized to make things simple. Finally, decide whether to add text and/or numbers in various fonts and sizes. 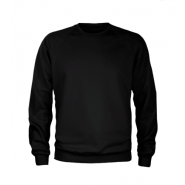 It’s truly that easy to create and customize your own sweatshirts online. Freshly Baked Tees’ customers order custom sweatshirts and printed hoodies for various events, as well. Sometimes, custom hoodies are excellent branding opportunities for companies, whether they are gifts for employees or door prizes at conferences and conventions. You can create your sweatshirt design for a bachelor or bachelorette party, or you can order custom made hoodies online for other events like birthdays and anniversaries. These custom hoodies are also ideal for school and church events, and you can even sell custom printed hoodies as a fundraiser. 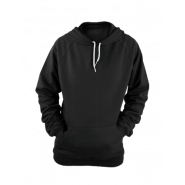 If you are interested in printed sweatshirts or custom printed hoodies, feel free to explore the online tool that will allow you to create your own hoodie online. You can also visit us in person at one of our two convenient Toronto locations, and we will print your custom hoodies in minutes. Freshly Baked Tees "Glad to use this unbelievable simple service, thank you! I designed an excellent baseball raglan which I got on the same day."